Help children explore and learn about Scripture and virtues. Mini-Books. Who ever thought that such a little book could bring out such big ideas for children of any age? Who knew that you could get so much information onto just a few tiny pages? Who knew that you could write, draw, or prompt learners to think with fun and energy? We did! 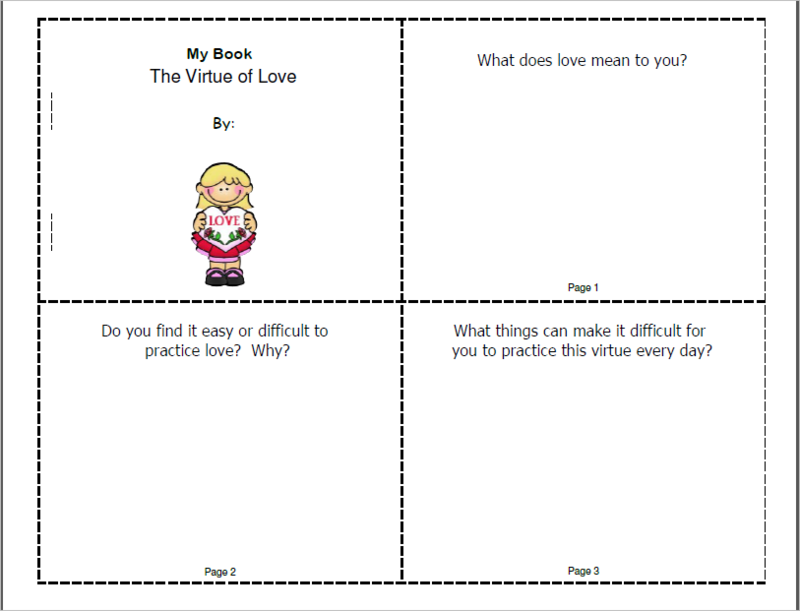 We have made it a fun way of learning content, and Scripture and virtues are perfectly matched topics for our mini-books. These small books are great to use in F3 or file folder projects, notebooking, or other activities too! God’s Word helps to enlighten our minds, answer our questions, and complete our understanding of the Catholic faith, along with Catechism of the Catholic Church and its rich traditions. Help support your learners as they journey through God’s Word using our bite-sized user friendly mini-books to narrate back what they already know or what they have learned in an easy, fun, inviting and non-threatening way. These books are also perfect for CCD or Religious Ed. class use.